Kendall Imports of Bend is honored to present a wonderful example of pure vehicle design... this 2019 BMW X5 xDrive40i only has 0mi on it and could potentially be the vehicle of your dreams! The BMW X5 xDrive40i offers a fair amount of utility thanks to its advanced features and unique styling. It's also quite sporty, and injects an ample amount of handling chutzpah into the ridin'-high body of a family-friendly SUV. Is it possible to fall in love with a vehicle? It is when your vehicle is as prestige as the BMW X5. Enjoy driving? Well now you will get more thrills behind the wheel thanks to the heightened performance of AWD. Better handling. Better traction. Better driving experience. The quintessential BMW -- This BMW X5 xDrive40i speaks volumes about its owner, about uncompromising individuality, a passion for driving and standards far above the ordinary. At BMW of Bend, we know not everyone has a new BMW SUV in the budget. So, we carry a large inventory of affordable pre-owned SUVs in Bend. You can shop our assortment of pre-owned BMW SUVs, as well as SUVs from a variety of other automakers. With a wide selection of options, we’re sure you’ll find something at our pre-owned SUV dealership that fits your budget and needs. We also serve the La Pine, Redmond, and Sisters areas. Not sure what size or style of SUV is best for you? Come by our pre-owned SUV dealership in Bend today and let our experts help you shop our large inventory of pre-owned SUVs for sale in Bend. We have something for every budget, family size, and lifestyle. Are you looking for something equipped to handle tough off-road terrain or just want to easily navigate Oregon winters? Shop our selection of pre-owned SUVs that come equipped with 4WD or AWD. Your pre-owned SUV will easily take you anywhere you want to go. If a small SUV what you’re search for, take one of our sporty crossover SUVs for a drive. We’re sure you’ll love the way they handle. If you need more cargo space for your weekend excursions, a full-size SUV could be just the thing for you. You’ll want to browse our 7-passenger SUVs that come equipped with a third-row seating for the extra amount of space you might need, as well. While you’re here, visit our BMW Finance Center and our financial experts can help you apply for a Bend auto loan. Save time before you get here and apply for financial pre-approval by filling out our online finance application. You can also apply for a free car appraisal to find out the market value of your current vehicle by filling out our trade-in form. 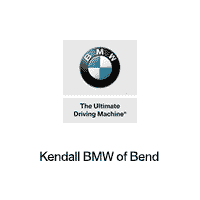 No matter if you’re in the market for a compact SUV, midsize SUV, or full-size SUV, BMW of Bend is the pre-owned SUV dealer you’ve been looking for. Contact us online or come by today and shop our inventory of pre-owned SUVs in Bend.